Scouring the web for travel deals to help you travel now, travel smarter and travel more often. DID YOU KNOW that May 23rd is World Turtle Day, a global observance to help celebrate and protect turtles and tortoises and their disappearing habitats? On the island of Dominica, the annual sea turtle season is under way in an ancient ritual that dates back to the time of dinosaur and hundreds of endangered sea turtles travel thousands of miles to lay eggs on the protected beach at Rosalie Bay. During this special time, guests at eco-boutique Rosalie Bay Resort can participate in conservation efforts and save 33% on 4 or more night stays. Join resort turtle expert for a guided educational walk along the beach. Help patrol the beach to protect nesting turtles. Assist researchers in collecting data or watching as they relocate nests that are too close to the ocean to the turtle hatchery. Or, be “on call” for when baby sea turtles hatch and begin their journey. If you’re like me, always on the lookout for last minute travel savings, this 30% off deal in Chilean Patagonia might be just the ticket for an October adventure. With high season officially beginning in November, the month of October is an ideal time to travel to Patagonia in order to avoid the crowds, but take advantage of the improving weather. Trip highlights include hiking along the world famous W Route in Torres del Paine National Park, witnessing the birth of icebergs as they calve away from the Grey Glacier, encountering guanacos, pink flamingos, and condors in their natural habitat, and sleeping in tented domes at a luxury eco-camp. All October 2013 departures for BikeHike Adventures’ On the Trail of Chile’s Patagonia are discounted to $1,799 USD, a savings of up to 30%. The 7-day itinerary offers travelers the chance to hike the famous W Route in Chile’s Torres del Paine National Park. Highlights include the Grey Glacier, the French Valley, the Italian Valley, and the Torres del Paine themselves. Accommodations are in an Eco-Camp with comfortable dome tents that have solar showers and flush toilets as well as in cozy mountain refuges. In Celebration of National Parks Week 2013 adventure travel outfitter, Holiday River Expeditions, is offering great deals on several of their National Park biking and rafting trips. Holiday River Expeditions/Canyonlands National Park. Book space on select Cataract Canyon Rafting or Combo Cataract Rafting & White Rim Trail Mountain Biking trips by April 26, 2013 and save $200 OFF the Adult Fare. Or, for the ultimate mountain biking adventure, save $100 OFF the Adult Rate on their White Rim Trail Mountain Biking trip. Keep it all in the family this summer with Nature Air and Cayuga Sustainable Hospitality Family Travel Package. From young eco-minded adventurers to more senior explorers who like a little pampering, Costa Rica has what it takes to cater to multi-generational families looking for more bang for their buck. During the Green Season (May to December) kids 12 years and under fly for free on any of Nature Air’s 74 daily flights to 15 destinations across the country, AND stay and eat for free at some of the top eco-luxury accommodations in Central America. Partnering with Cayuga Sustainable Hospitality, a company that manages a number of Earth-friendly lodges, hotels and inns in the Central American region, carbon-neutral Nature Air allows families to economically combine city stays with rainforest adventures, mountain and beach getaways for this summer’s vacation in one of the most popular eco-tourism destinations in the world. I’ve got a serious crush on our National Parks and now, Holiday River Expeditions, for choosing to celebrate National Park Week by making it easier, and cheaper, for travelers to enjoy one of their National Park rafting and biking adventures this summer. Where Canyonlands National Park and Dinosaur National Monument. Why go Ultimate access to the hidden treasures of our national parks. The experience Adventure, exhilaration, natural history, kids activities, delicious meals, impeccable gear and expert guides. Deal details Book select Cataract Canyon Rafting, Combo Cataract Rafting & White Rim Trail Mt Biking, Yampa River or Combo Yampa Bike & Raft trips and save $200 OFF the Adult Fare. Or if you just want the ultimate mountain biking adventure you can save $100 OFF the Adult Rate on their White Rim Trail Mt Biking trip. National Parks Week Special Ends April 27, 2012. For years, Antarctica - the “blue continent” at the bottom of the world - has topped my travel wish list. With ten departures, and savings up to $8,200, these Antarctic cruise deals from Quark Expeditions, the leader in Polar adventures, might be just the ticket to getting there in 2012. Save up to 40% on this 12-day Antarctic adventure that begins and ends in Ushuaia, Argentina. Like adventurers of old, the voyage crosses the Drake Passage to explore the breathtaking Antarctic Peninsula and the mysterious South Shetland Islands. Passengers meet up with at least four different species of penguin, countless seals and “big ice” in all its Antarctic splendour.There’s also a full slate of adventure activities, including kayaking, camping, mountaineering and cross-country skiing. February 10-21, 2012, from $6,354 per person. Quark Expeditions (888) 892 0334. Vacationing with friends and family is a great way to spend quality time together. And it doesn’t hurt when the company your clan chooses to travel with says thank you with hard cash savings. Wondering where to go next year? For adventurers who plan ahead, here’s a wallet-friendly group deal* that does just that. Book 12 people on one of Holiday Expeditions’ 2012 Utah and Idaho River or Bike trips by October 31st and you’ll save 20% off 2011 rates. To learn more, call 800-624-6323 or visit their website at www.BikeRaft.com. 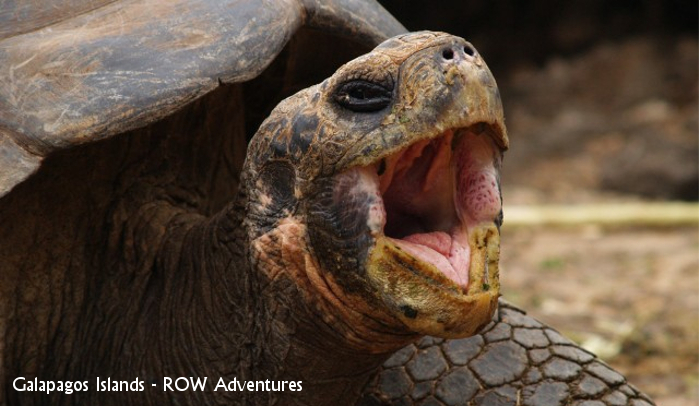 Check out this wonderful 6 and 7-day trip aboard the M/S Encantada to the Galapagos Islands with adventure travel company ROW Adventures on highly-desirable winter vacation dates, December 24th and 28th. The 6-day trip is priced at just $1890 and the 7-day trip is only $2080 per person*. It’s the perfect way to spend your winter break. *Round-trip airfare from Ecuador to the Islands is included along with two hotel nights in Guayaquil. Booking deadline August 25, 2011. Go eyeball-to-eyeball with the Galapagos marine iguana; witness the feeding frenzy of blue-footed boobies and snorkel with playful sea lion pups…the Galapagos Islands are an amazing adventure. Check out these Galapagos cruise discounts of up to 30% with Expedition Trips, specialists in small-ship expeditions. Highlights: 96-passenger expedition ship with excellent naturalist guides and educational program, kayaks, and glass-bottom boat. Highlights: Comfortable, bright and modern ship with great guides and ample onboard amenities including pool, sauna, and Jacuzzi. Save 25% per person (up to $1,850 off). With vacation season on the horizon, travelers hunting for a bargain will find wallet-friendly options in Belize as hotels are slashing prices and boosting inclusive packages for the summer months. Home to the second largest barrier reef in the world, ancient Maya temples, exotic wildlife and more, Belize provides an unforgettable vacation. And with a fixed exchange rate of BZ$2 to US$1, travelers will naturally save even more on their summer trips. Below is a list of specific offers that begin in the summer and run through Belize’s low season (October 31) and are tailored to fit a range of travelers - from couples seeking romantic escapes to families in search of safe summer destinations. 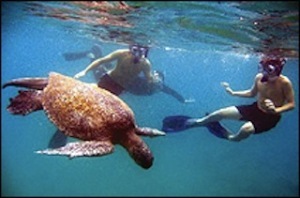 Travelers can also find a full roster of hot summer deals on Belize’s official travel website, TravelBelize.org. Featuring remote islands, mesmerizing waterfalls and affordable luxuries, Belize is the ideal getaway for couples in search of rousing romantic destinations. From seaside star-gazing on the white beaches of Placencia to breathtaking sunsets on the Maya temples of Caracol in the Cayo District, Belize’s awe-inspiring attractions are sure to sizzle any couple’s summer. While the country’s romance website, Belize In Love, features romantic packages offered year-round, below are two summer deals perfect for stirring up a little romance. ADVENTURE TRAVEL DEAL: Volcanoes Safaris, a company that specializes in gorilla safaris in Uganda and Rwanda is offering special savings on 2011 gorilla safaris. This cozy lodge tucked underneath Uganda’s volcanoes is the ideal base for some of the most stunning hiking trails in Africa. Climb a volcano, track the golden monkey, or take the Batwa Trail into the forest, in the evenings relax by the fireside and enjoy the peace of this beautiful lodge. Guests who book travel to Mount Gahinga Lodge between March 1st –May 31st and November 1st through December 15th will receive a 25% discount. Offer available through July 1st, 2011. Bwindi Lodge overlooks the lush Bwindi “Impenetrable” Forest, and often plays host to the Rushegura group of gorillas who often come to feed in the gardens, making it an ideal place for gorilla encounters. Visiting the “White Continent” aboard an Antarctica cruise is topping my Bucket List these days. This voyage with Lindblad Expeditions has it all: the impossible beauty of Antarctic ice, over 100,000 king penguins in South Georgia and the Falkland’s human history and amazing albatross colonies. Guests can experience the Cayo District’s diverse environment and save 15 percent on their trip to the Lodge at Chaa Creek this summer by booking the new Eco–Tourism Vacation Package. The three–night package includes accommodations, meals and unlimited onsite eco–activities such as hikes through the rainforest and guided tours of an organic Maya farm. Prices start at just $200 per person, per night for guests traveling between now and July 31, 2010. Table Rock Jungle, a jungle lodge immersed in Belize’s rainforest right outside of the town of San Ignacio, is announcing a special three-night, all-inclusive vacation package for just $700 per person. The package includes all meals; accommodations; tours of the ATM Caves, the Caracol Maya site and canoeing; tubing and swimming at Big Rock Falls, as well as ground transfers to and from the Belize International Airport. A five-night package is also available with the same inclusions mentioned above, as well as tours of Barton Creek Cave and the Maya sites of Xunantunich and Tikal. The five-night package is offered for $1185 per person. For more information visit www.tablerockbelize.com. The Blue Crab Beach, a family-friendly adventure hotel located in Placencia, Belize, is launching several different specials, designed to fit a wide range of budgets. Guests booking six nights at the hotel will receive a seventh night free and children under the age of 16 stay for free. A 10 percent discount is also available for returning visitors, on top of the current 20 percent taken off the hotel’s summer rates. And, groups booking three rooms or more will receive an additional 10 percent off their accommodations. For more information on travel specials offered by Blue Crab Beach, visit www.BlueCrabBeach.com. Some of the best things in life truly are free, particularly in our national parks. And even those things that aren’t free are still an incredible value, in part because every item with a price tag in every U.S. national park has the approval of the National Park Service. Spot an owl. Or a bear, elk, wolf, otter, bighorn sheep, pronghorn, coyote, bison or trumpeter swan. The Lamar Valley in the northern part of Yellowstone National Park is often called the “American Serengeti” because of its abundant wildlife. Some good binoculars and a little patience are all you need to observe the wonders of the park’s wildlife. Xanterra also offers a variety of guided wildlife-watching experiences. Go low. At 282 feet below sea level, Badwater Basin in California’s Death Valley National Park is one of the lowest places in the world. The vast salt flats are typically bone-dry but can turn into a ready-made lake after a big rainstorm. Look up at mountainside sign marking sea level posted well above the Badwater Basin viewpoint. No, up a little higher. Feeling small yet? Walk in the footsteps of presidents. Six presidents – and Three Stooges – have stayed at Yellowstone’s Old Faithful Inn. It was built for $140,000 in 1904 and is one of the most famous buildings in any national park. A Xanterra historian tells travelers about the inn’s colorful history during free walking tours offered several times a day throughout the summer. To help celebrate the New Year Terra Incognito Ecotours are offering special discounts on two of their most popular destinations. 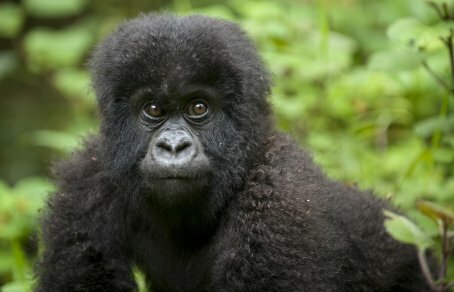 Anyone who now enrolls in either their May 2009 Gorillas in the Mist tour to Rwanda or their China in Search of the Giant Panda trip this November will receive a $250 discount off the ecotour price. Check this out…Wildland Adventures Offers 2009 Trips at 2008 prices! Click here for the full scoop. Just to whet your appetite, here’s a sampling of great deals on selected Wildland Galapagos cruises,with savings up to $1600 per cabin. A full week of incredible voyaging in Darwin’s magical isles, plus 3 nights in Quito. A 4-day cruise by luxury yacht, plus time to explore colonial Quito. Ecuador’s beautiful highland haciendas, the fascinating Otavalo Market, and a Galapagos cruise aboard a luxurious yacht . In the spirit of getting the best value in your travel experiences, Wildland Adventures is offering some excellent deals and discounts on their favorite adventures. Check out these great Wildland Adventures - at great prices! Note: Some offers require booking by December 31. Limitations apply. Not available with other discounts or commissions. Call for details at (800) 345-4453. Fly from Victoria Falls, Zambia to hidden bush camps in the Okavango Delta and Linyanti plains on Wings Over Northern Botswana and they’ll add one free extra night at any one of the deluxe camps included in the itinerary. 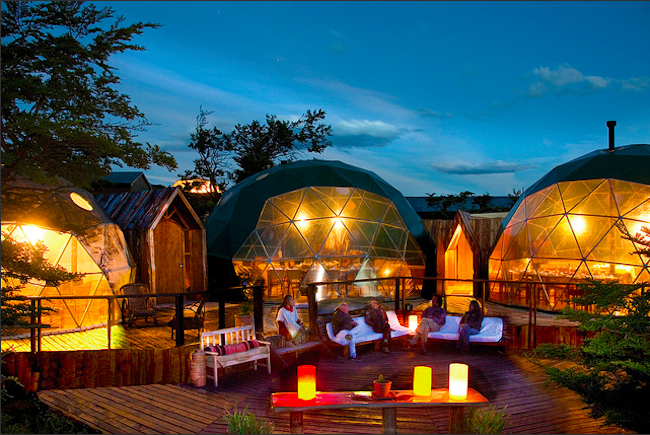 » South Africa: 20% Off Safari! Reserve and pay in full for any Wildland Adventure in South Africa for 2009 trips and take 20% off their current published price. Savannahs and Silverbacks: Luxury Safari in the Heart of Africa or the Tanzania Luxury Walking Safari receive $250 off per person on either tour for travel dates between now and the end of 2009 (holiday exceptions).